Today’s financial advisor is well aware of social media platforms like Twitter, Instagram, LinkedIn and Facebook, yet many do not know how to leverage each social site or how to integrate into their firm’s marketing campaigns. In fact, our research indicates a common misunderstanding that many advisors share – that social media isn’t a tool that can actually drive qualified leads and that it is primarily for youthful teens or adults to share pictures of their food and favorite rock band. Although there is some truth to this perception, the reality is that one of the fasting growing demographics on many of these social networks are adults age 35-65. Additionally, younger investors and those in line to succeed their aging parents use social media regularly to get their news, current events and advice on a multitude of topics – including social media. Nearly every major Robo Advisor places advertisements on Facebook and LinkedIn, and savvy advisors promote their blog post in the social streams of their ideal client 24/7/365. 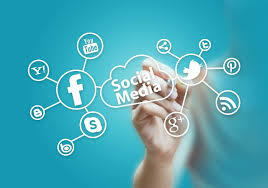 According to a study from Sysomos, a social media software provider, and Marketwired, a business news data channel, up to 60 to 70% of all investors surveyed say they use “traditional” sources of information (like newspapers and Wall Street analyst reports); but 40% say they use social media as a key investment information source. Given the relatively short lifespan of platforms like Facebook and Twitter, that’s an eye-opening number, Sysomos says (Source: Wall Street Journal). How can wealth managers better leverage social media to attract new clients and solidify relationships with existing clients? Here are five good tips that experts say every financial advisor should have in his or her social media marketing arsenal. For starters, financial advisors should not be looking to use social media strictly to sell products and services. There are significant regulatory considerations, and in addition, these channels aren’t suitable for the delivery of financial products and services. However, social media can be very powerful in other ways for advisors. Social media is a fantastic content distribution platform, giving advisors the ability to showcase intellectual capital and thought leadership. Social media can also be used to promote personal and corporate brands, and help ‘humanize’ the brand. The trick is to make Facebook, Twitter and other social media outreach programs work for you – instead of the other way around. Investment customers and prospects are hungry for advice and tips that will help them take their next steps on the road to solid financial planning. Advisors that generate content – videos, blog entries, short white papers, case studies – that help prospects solve a problem or increase their awareness on a hot topic in the industry, net higher engagement and social sharing. Joining relevant discussion groups is a great way to connect with customers and prospects to increase your brand awareness. Once you are a member of a discussion group, you have the ability to send personal messages to members of that group. The ‘Faceted Search’ function on LinkedIn allows financial advisors to target your searches for prospects based on seven different facets: current company, past company, location, relationship, industry, school and profile language. Once you’ve created a faceted search that you find valuable, you can save that search and receive notifications when that search result is updated. Facebook, Twitter and LinkedIn are optimal platforms to build trust and rapport with prospective investors, however posting random articles or recommending products/services without providing context can erode trust. Rather than aimlessly pushing out messages for the sake of creating activity, consider how your recommendations correlate to your brand and provide context to your audience for each post, so that they understand what they should consider or why it’s important to take action. Investors of all stripes are increasingly turning to social media to streamline and even manage their investment portfolios. As the Sysomos and Accenture studies attest, wealth managers who aren’t working with social media risk being left behind – perhaps permanently.